--Bloomington, IN- The Old Oaken Bucket will stay in Bloomington for the second consecutive year after the Indiana Hoosiers (4-8,1-7) came back from a 10-point deficit to defeat the Purdue Boiler Makers (3-9, 1-7) 23-16 on Saturday at Memorial Stadium. This is the first time in 20 years that the Hoosiers have possessed the Bucket two years in a row. Purdue took a 6-0 lead into halftime after an ugly 30 minutes that featured a combined two missed field goals, four turnovers, and no touchdowns. The Hoosiers finally broke the seal on a 23-yard Griffin Oakes field goal to cut the Purdue lead to 6-3, but on the first play of the ensuing drive Purdue’s Akeem Hunt (19 carries, 171 yards TD) put the Boilermakers up 10 with an 82-yard sprint to the end zone. That touchdown down must have woken up the Hoosiers because they went on to outscore the Boilermakers 20-3 over the final 24 minutes. The play of the Hoosier seniors carried them in the second half. Wide receiver Shane Wynn (90 total yards, TD) breathed life into the Cream and Crimson taking a reverse 41 yards to get the Hoosiers to within three points. Oakes would add another field goal to tie the score as the game moved into the fourth quarter. Indiana gave the lead away when a Tevin Coleman (29 carries 130 yards) fumble set up a short field for a Purdue field goal. Coleman became the 18th player all-time to hit the 2,000-yard mark on Saturday. At 16-13, the Indiana defense would come up big again for IU holding Purdue scoreless over the last 11:24. The Hoosiers were given a chance by their defense and the offense picked an opportune moment to have one of their better drives of the year. Having good field position off a bad Purdue punt the Hoosiers went to work with 3:19 left. On the game winning drive IU’s seniors did the heavy lifting. Nick Stoner had a big six yard grab on a third and two and running back D’Angelo Roberts got the Hoosiers down to the one-yard line on two runs that totaled 29 yards. Roberts looked as if he was going to will himself and the offense to win the Bucket. Indiana would take their first lead of the game when true freshman quarterback Zander Diamont, who said that he “never wanted to win more in his life” last week, took the read option play into the end zone for the 23-16 lead. Purdue would move the ball to the IU 44-yard line but a last second heave sailed out of bounds and the Hoosiers stormed the field. The win sent the Hoosiers off into the recruiting season on a much-needed high note, while Purdue, who improved from 2013 had to head back to West Lafayette bucketless for the second straight year. Why They Played: The Hoosiers and Boilermakers meet annually for the Old Oaken Bucket. The battle for the state of Indiana is big both on and off the field. This one is for a leg up in recruiting and bragging rights around the water cooler. Shane Wynn, WR, Indiana- Wynn’s 41-yard touchdown run woke up the Hoosiers and sparked a come from behind victory. He made six catches for 47 yards and finished with 90 total yards on the day. Akeem Hunt, RB, Purdue- The speedster stole the headlines from Tevin Coleman and ran for 171 yards and a score on just 19 carries. Had he been able to finish the game the result may have been different. T.J. Simmons, LB, Indiana- Simmons had another outstanding game to end his sophomore year. He recovered a fumble on a backward pass, a very heads up play, and recorded a team high seven tackles. Ja’Whaun Bentley, LB, Purdue- The freshman linebacker had a big game in his first Bucket matchup totaling 11 tackles. Ugly is one way to put it. The Hoosiers muffed a punt, missed a field goal, muffed a kick off and had a kick go out of bounds. The wind wrecked havoc it seemed for both teams in the kicking and return games. Senior Shane Wynn took an ill-advised risk diving for a short punt, which he ended up dropping and giving Purdue a short field. The Hoosiers will need to shore up this part of their game heading into 2015, if they want to contend for a bowl. Griffin Oakes finished the day 3 for 4 on field goals. Turnovers for the Hoosier defense. Indiana forced a fumble and three Austin Appleby interceptions. Even though it only resulted in three points for the Hoosiers, the turnovers kept Purdue at bay for most of the day. Indiana needed to answer the bell after Akeem Hunt broke loose for an 82-yard touchdown. Senior Shane Wynn made sure the Hoosiers would not go down without a fight when he took a reverse 41 yards for the touchdown to tie the game at 13. Austin Appleby’s desperation heave sailed out of bounds and incomplete as the clock hit zero. Defense, Indiana– In an ugly game the Hoosier defense stood tall to keep the Boilermakers from running away with this one early. They kept IU in it with four turnovers and held Purdue to just 16 points and 351 yards of total offense. Akeem Hunt, Purdue- The senior gave all he had in his final Bucket Game performance rushing 19 times for 171 yards, including an 82-yard touchdown that put Purdue ahead 13-3. If Hunt could have stayed healthy the game may have turned out differently. The Hoosiers needed this win against Purdue in the worst way and they found a way to pull it out coming back from 10 points down. While getting a fourth win for the season usually does not scream “Big Time”, this was a big time win for Kevin Wilson and the Hoosiers. Heading into the recruiting season possessing the Bucket for the second year in a row and the third time in five years may give the Hoosiers the boost they need to keep this program moving in the right direction. While it is always nice to beat Purdue on the field, it may be more important now to beat them recruiting. 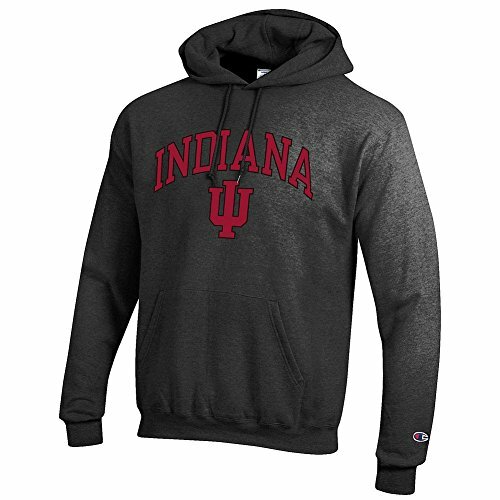 Plus life is just better for Hoosier fans when they beat Purdue. Right now I want to thank all of the readers for a great season. It’s a pleasure writing for you folks and I cannot wait to jump into the recruiting races. Rememeber to check back often for all the Indiana Football news.